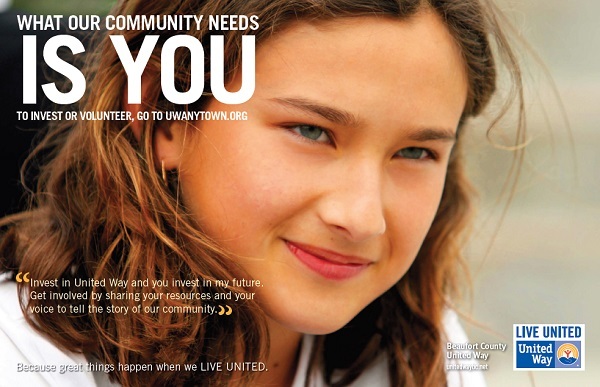 Your gift to the Beaufort County United Way creates opportunities for a better life for all. Our mission of "Neighbors Helping Neighbors" requires a community-wide partnership to identify and tackle critical health and human service issues--individuals like us coming together to invest our time, knowledge, and resources. 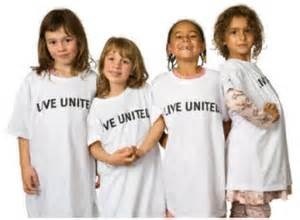 By combining contributions from individuals, small businesses, and workplace campaigns, the Beaufort County United Way leverages these resources on a large scale to advance the common good and produce positive change. Together, we are building a culture of caring in Beaufort County. Please join us in our mission. Consider coordinating a workplace campaign. Or click on the link below to download a pledge form and mail your tax-deductible contribution to the Beaufort County United Way / PO Box 1963 / Washington, NC 27889. Open your heart. Lend your voice. Give your time. Invest your money. Let's reach out a hand to one, and influence the condition of us all. As always, thank you for your support. It's not about meeting a goal; it's about meeting a need. Underneath everything we are, underneath everything we do, we are all people. Connected, Interdependent, United. And when we reach out a hand to one, we influence the condition of all.